Bookings are now open for training to become a member of the Foreshore Recording and Observation Group and volunteer with Thames Discovery Programme. Our training programme takes place over two days and includes health and safety training, an introduction to the archaeology on the Thames foreshore, a foreshore fieldwork session on an iconic London beach and a guided walk to explore the archaeology of the Roman and Medieval Port of London. 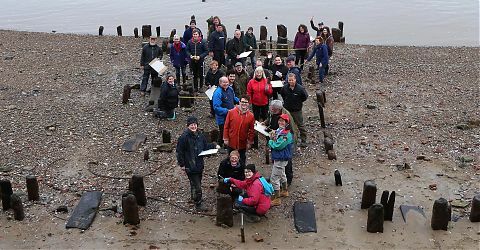 After the two-day course, you’ll have a better understanding of how to do archaeological recording on the Thames foreshore, and will be able to take part in our fieldwork season during the spring and summer of 2019. This year, we’ve organised a Foreshore Taster Day for people interested in becoming a FROG member. We’ll take you on a guided walk of the City foreshore and show you some of the features we’ve worked on. It’s your chance to find out more about getting involved. We strongly recommend you join us on the Taster Day if you haven’t visited the Thames foreshore before, or taken part in archaeological fieldwork, but everyone is welcome! If you would like to know more about what’s involved in the training and being a FROG Member, read our New FROG FAQs. 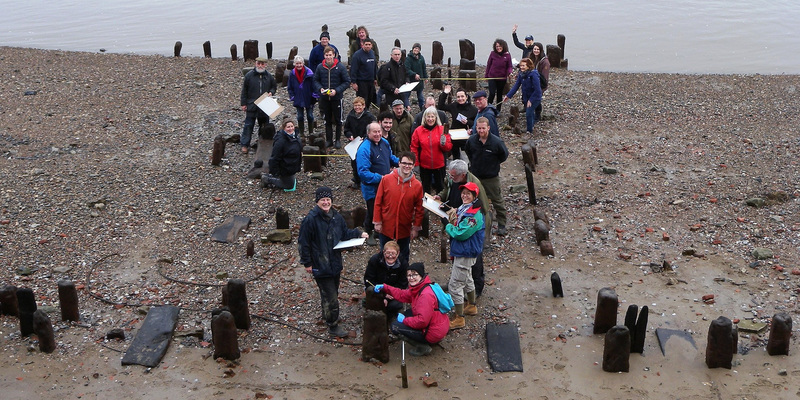 To book your place, please download, complete and return the application form below to the Thames Discovery Programme team: thamesdiscovery@mola.org.uk. Please note that attendance at both days of the training is required to complete the course and become a member of the FROG team. When we receive your application form, we will send you a link and information on how to pay the course fee. We look forward to seeing you on the foreshore!